I love me some cracker barrel! Gawd I'm still recovering from eating more than a couple of sows in a corn binge contest! Whew why do we sat down and think we have to eat every cotton picking thing on the menu. Good groceries last night but I hurt myself and it will take a few days to get the old system back to regular proportions. I went to buy a bottle of Four Roses Single Barrel. Out of stock, so I looked for Larceny (never tried it), no luck. I ended up with George Dickel 12 and good old Wild Turkey 101. When I played with Foz and Rev last February, Foz introduced me to Wild Turkey Honey Sting. It was perfect for that cold Florida golf day. I came home and checked the stores; no one had it, so I had a store order 2 bottles. When the weather warmed up here, I put it away. I totally forgot that I still had a bottle in the cabinet. Now is a good time to break it out! Sounds like some pretty interesting liquor. Wild Turkey with a hint of honey huh? We had a little excitement in our neighborhood today. I was sitting on the front porch in my rocking chair and all of a sudden a bunch of fire trucks hauled arse down the road by the house. The next thing I know there was a plane circling the neighborhood. Well I decided it was time to take my dog around the neighborhood for her evening walk so I could take a look at what was happening. Somehow a fire had started behind one of the homes around on the other side of the block from where we live. Lot's of smoke and the wind were picking up. I stopped to chat with the Lady who lived across the road from the house that the fire was burning behind, to see if she knew what was going on. She had no clue but would be checking it out soon so maybe se can fill me in. They were unloading a large bulldozer as I was heading back home. Not a good sign. A hint of honey with a kick from Ghost Peppers! Too much excitement for me; still "resting" from all the food! 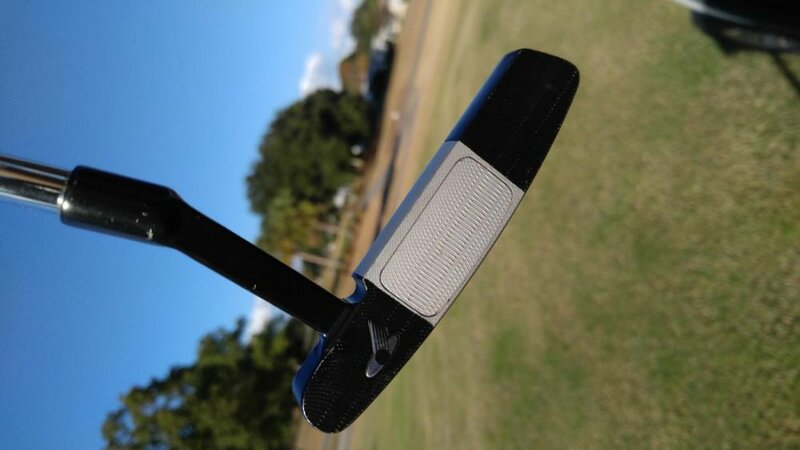 Looks like a Never Compromise putter? 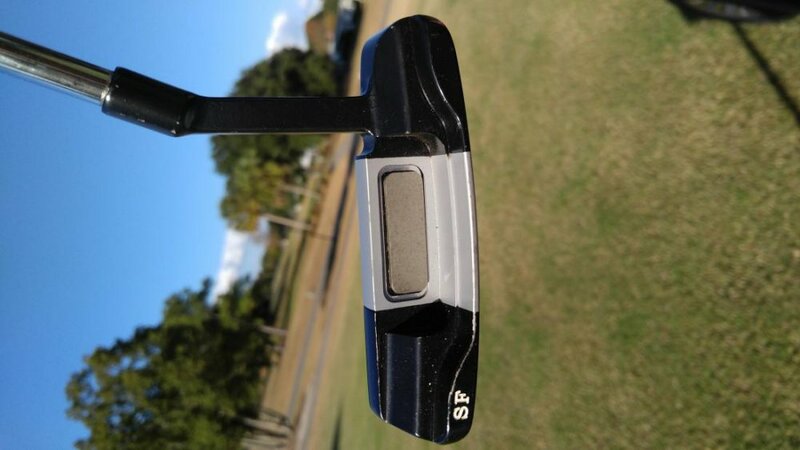 Yes, weighted heavier with lead tape by the tour pro. Ah So you do still have ole Flesch'ies putter around. Nice. How'd you play. "Ah So you do still have ole Flesch'ies putter around. Nice. How'd you play." Yes, still have his irons too. As for how I played, moments of brilliance and then the other category ha ha ha. I still have a Never Compromise putter. It's called a Voodoo Daddy and I occasionally go back to it as it's pretty hawt at times. I remember that putter. 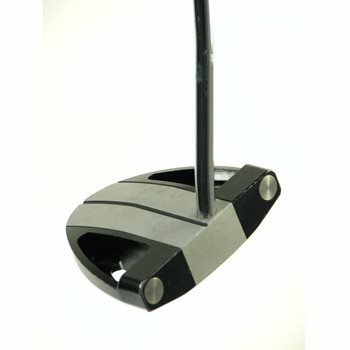 Awesome putter! Rivalry Day in College Football! Who's ya team playing today? Ohio State vs. Michigan ................. Ohio State wins a close one. They have been playing the Civil War since 1894, and OSU hadn't beaten UO since 2007, but today the Beavs win 34-24. I just noticed in the chat window, there are currently 28 users on chat right now. That's fanstastic. I think up until a few weeks ago, the most I would see was like 4 or 5. MGS Owners and Staff must be doing something right, to see such growth in the community in just a short amount of time. I love it! !